Praised by Opera News as a conductor who “squeezes every drop of excitement and pathos from the score,” Steven White is one of North America’s premiere conductors of both symphonic and operatic repertoire. Among the many orchestras Maestro White has conducted are the Metropolitan Opera Orchestra, the Moscow Philharmonic, the Orchestre Métropolitain du Grand Montréal, the Baltimore Symphony Orchestra, the New World Symphony Orchestra, the Spoleto Festival Orchestra, the Colorado Symphony, the Nashville Symphony Orchestra, the Columbus Symphony Orchestra, the Syracuse Symphony, the Charleston Symphony, the Florida Philharmonic, the Fort Worth Symphony, the North Carolina Symphony, the Madison Symphony Orchestra and London’s Philharmonia Orchestra for a CHANDOS recording of arias featuring his wife, soprano Elizabeth Futral. Maestro White made his acclaimed Metropolitan Opera debut in 2010, conducting performances of La traviata starring Angela Gheorghiu. Since then he has conducted a number of Metropolitan Opera performances of La traviata, with such stars as Natalie Dessay, Hei-Kyung Hong, Placido Domingo, Thomas Hampson, Dmitri Hvorostovksy and Matthew Polenzani. In the past two seasons he has returned to the Met to participate in critically fêted productions of The Rake’s Progress and Elektra. Following an exciting last-minute appearance with Austin Opera in the spring of 2018, conducting Verdi’s La traviata, Maestro White begins the 2018-2019 season with the company for performances of Otello. He returns to Opera Omaha for their production of a new edition of Gounod’s Faust, and makes his debut with San Diego Opera conducting Rigoletto. The previous season’s engagements included Tosca with Arizona Opera, Romeo et Juliette with Opera Birmingham, and he returns to the Metropolitan Opera to participate in their productions of The Merry Widow and Le nozze di Figaro. Operatic engagements for the 2016-2017 season included returns to several companies, including Arizona Opera for Rusalka, Opera Omaha for Così fan tutte, the Peabody Conservatory for Le nozze di Figaro and Opera Roanoke for Susannah. The previous season included performances of Don Giovanni at Arizona Opera, Il barbiere di Siviglia at Opera Omaha and Street Scene with the Peabody Conservatory. He also led the Omaha Symphony Orchestra in Berlioz’ Symphonie fantastique and the Liszt E-flat Piano Concerto, featuring internationally hailed pianist Markus Groh. Maestro White’s 2014-15 season included Mahler’s Symphony No. 4 with the Charleston Symphony Orchestra and Das Lied von der Erde at Kennesaw State University. 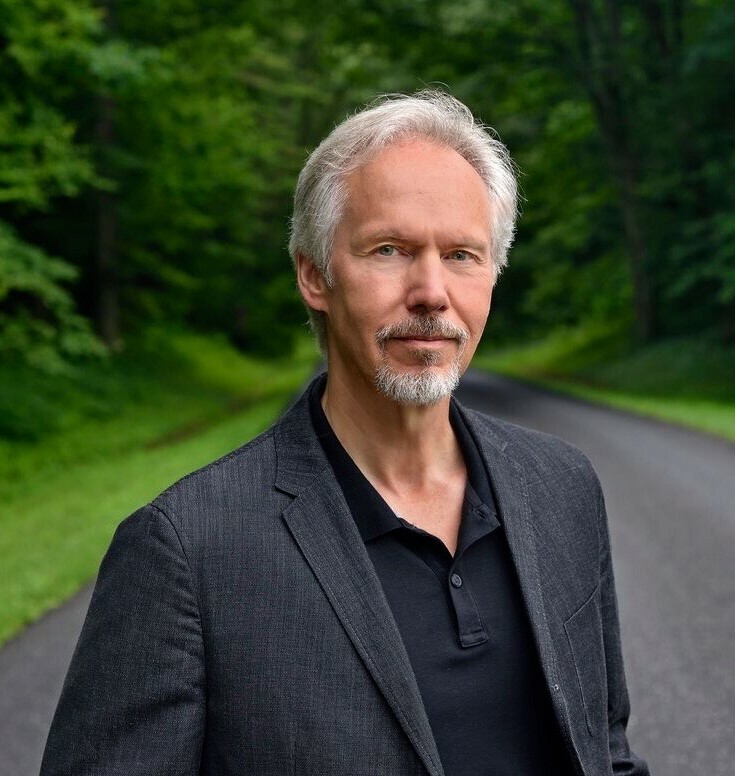 He returned to the Baltimore Symphony Orchestra and Lyric Opera Baltimore for Madama Butterfly, Arizona Opera for Eugene Onegin, and the Alabama Symphony Orchestra and Opera Birmingham for La bohème. He debuted with the Columbus Symphony Orchestra and Opera Columbus with La voix humaine and Pagliacci. With Opera Omaha he conducted Rigoletto. In December 2013 Maestro White conducted the tribute to Martina Arroyo as part of the Kennedy Center Honors concert, broadcast nationally on CBS. Other highlights of that season include Tosca with Lyric Opera Baltimore and the Baltimore Symphony Orchestra, Dialogues of the Carmelites with Peabody Conservatory, La traviata with Arizona Opera, Rigoletto with Opera Birmingham, Aida at Bob Jones University and Mahler’s Symphony No. 1 at Virginia Tech University. At Opera Roanoke he conducted a new production of Die Zauberflöte. He also led the Slovak State Philharmonic in concerts of Beethoven’s Symphony No. 7 and Rimsky-Korsakov’s Russian Easter Festival Overture. With that same orchestra he collaborated with acclaimed trumpeter Paul Neebe in a recording of 21st– century concertos. In 2013 he made his debut with the Moscow Philharmonic Orchestra in a tour-de-force gala concert at Tchaikovsky Hall with soprano Sarah Coburn. Other recent symphonic engagements include performances of the Strauss Four Last Songs with Dame Kiri Te Kanawa and the Naples Philharmonic, internationally televised concerts with Rolando Villazon and the Greek National Radio Symphony Orchestra at the United Nations and Alice Tully Hall, an all-Wagner concert with the Alabama Symphony Orchestra and Opera Birmingham, the Festival Finale Concert at Spoleto Festival USA, a concert with Angela Gheorghiu and the Canadian Opera Company orchestra at Roy Thomson Hall in Toronto, and numerous concert performances with the Roanoke Symphony Orchestra and Opera Roanoke. In addition to his work with the Metropolitan Opera, Maestro White’s extensive operatic engagements have included La traviata, Don Giovanni, Carmen and La bohème at New York City Opera; Lucia di Lammermoor at L’Opera de Montréal; Lucia di Lammermoor, La fille du regiment and I puritani with Vancouver Opera; La traviata at Opera Colorado; L’elisir d’amore with Pittsburgh Opera; Die Entführung aus dem Serail at Michigan Opera Theater; La traviata, Roméo et Juliette, I puritani, La sonnambula and L’assedio di Corinto with Baltimore Opera; Lucia di Lammermoor with New Orleans Opera; Aida, Lucia di Lammermoor, The Merry Widow, Tosca and Don Pasquale at Arizona Opera; and La bohème, Carmen, Rigoletto, Tosca and Le nozze di Figaro with the Naples Philharmonic. Other performances include Hänsel und Gretel at Kentucky Opera, Pagliacci and Tosca at Nashville Opera, Lucia di Lammermoor with Fort Worth Opera, Don Giovanni, Les contes d’Hoffmann, Macbeth and Lucia di Lammermoor at Syracuse Opera, Werther at Sarasota Opera, Lucia di Lammermoor with Wichita Grand Opera, Madama Butterfly with North Carolina Opera, L’elisir d’amore at Wolf Trap Opera, outdoor Gala Concerts with Madison Opera, and La traviata at Indiana University Opera Theater. As former Artistic Director of Opera Roanoke, Maestro White conducted nearly all of that company’s productions from 1999 through 2010, including performances of Das Lied von der Erde, Der fliegende Holländer, Fidelio, Falstaff, Otello, Macbeth, Aida, Hänsel und Gretel and many others. He has also served as Principal Conductor for Opera Birmingham and as Associate Conductor and Chorus Master for Florida Grand Opera. In May 2013 Maestro White received an Honorary Doctorate of Fine Arts from Roanoke College. The opera was conducted by Steven White, whose tempos were full of energy and life, teetering on the verge of tumult. White is amazing: he consistently demands and gets the absolute best playing from the orchestra.